Everyone Welcome! 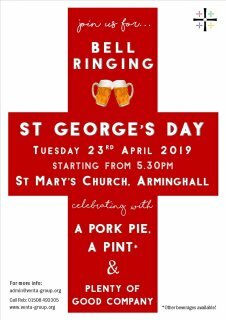 Have a go at bell ringing, whilst tucking into a pork pie with a nice refreshing pint! A brand new service for all the family, right in the middle of the village. 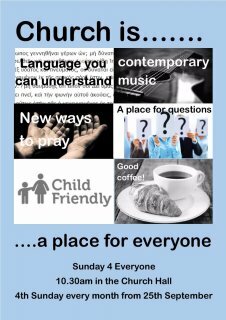 Lots of lively music, things to think about, stuff for the whole family to do, and yummy refreshments. 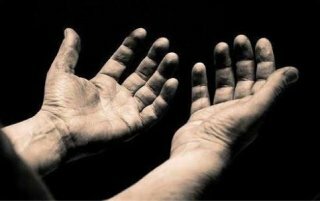 It is an amazing privilege to be able to spend time with God, and to know that he hears our prayers—more than the best of human fathers. Across our group of churches we are meeting more regularly now, to pray that God’s kingdom will come in the world, and in our communities here, and that people will come to know Jesus. Please come and join us to pray anywhere, any time. Our prayers will cross parish boundaries as we hold the different villages before God wherever we are; please do cross them yourselves and join us as much as you can. Family church, cafe style. Come along and join in with activities and craft, listen to a talk, and have lots of good breakfast with each other!